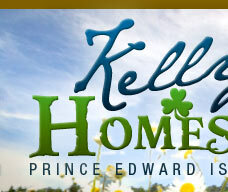 Located in beautiful Blooming Point, Prince Edward Island, Kelly’s Homestead is a water view vacation rental retreat with a history. 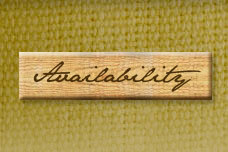 In fact, this fully furnished three-bedroom farmhouse has been in the Kelly family since 1937. That was the year that newlyweds Grace and Jimmy Kelly moved the homestead onto the property where it stands today. 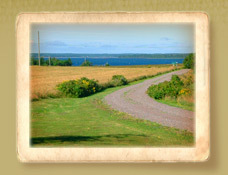 The property’s prime location, spectacular water views overlooking Tracadie Bay, PEI, and its rich red soil made it the perfect place for the young couple to farm and to start a family. 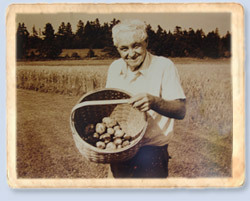 Seven children and 53 years later, Grace and Jimmy moved from the homestead, leaving it in the trusted care of their children. After much attention and upgrading, eldest son George and his wife Geraldine took possession of the family home in 1997, continuing to modernize the property, while retaining much of its original flavour. Today the Kelly Homestead stands on 33 of its original 100 acres. The mixed farming has been replaced by soybean and buckwheat crops, earning the Kellys the distinction of being certified 100% organic. As George says, “This is a family heritage property”, and it’s with this philosophy that the Kellys invite you to enjoy the quiet privacy, the outstanding scenery, and the Island history that Kelly’s Homestead provides. Read more comments from our guests.